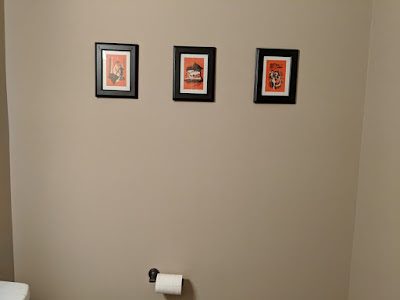 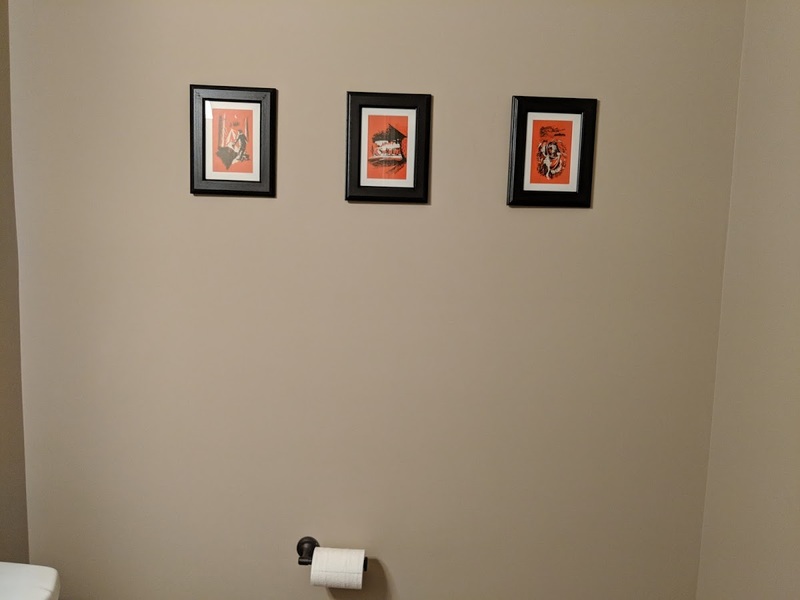 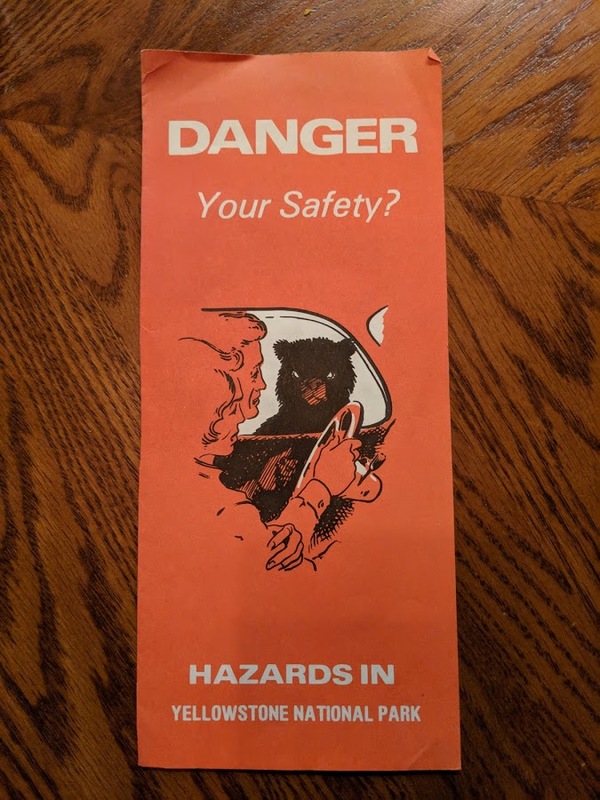 I imagine not many people would find an old brochure from Yellowstone National Park and see art for their bathroom, but that is exactly what I did with my $0.50 thrifty find. 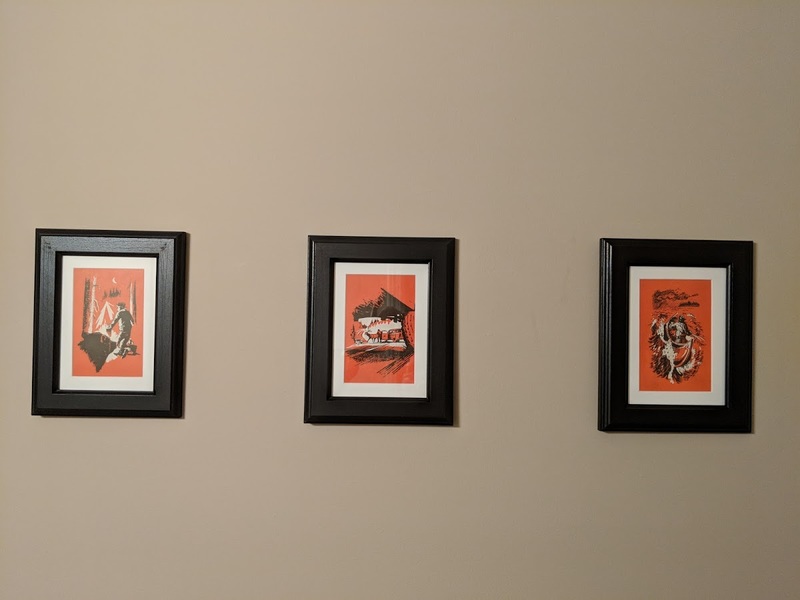 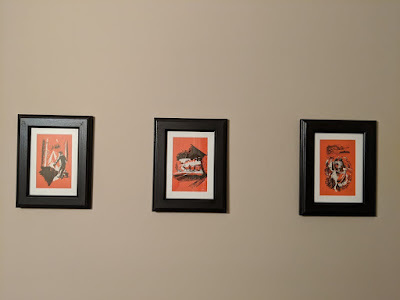 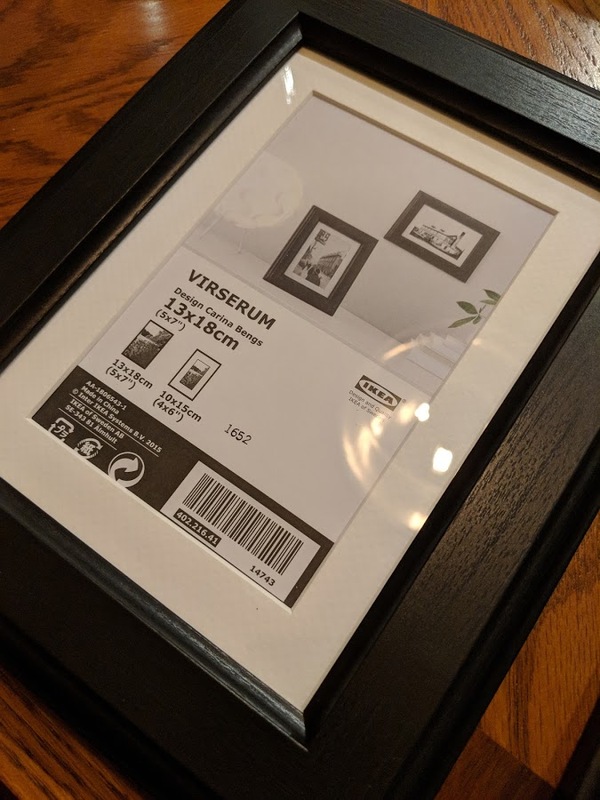 I purchased three Ikea picture frames with white mats at around $3/each, separated the three panels of my brochure, folded them to fit, and done! 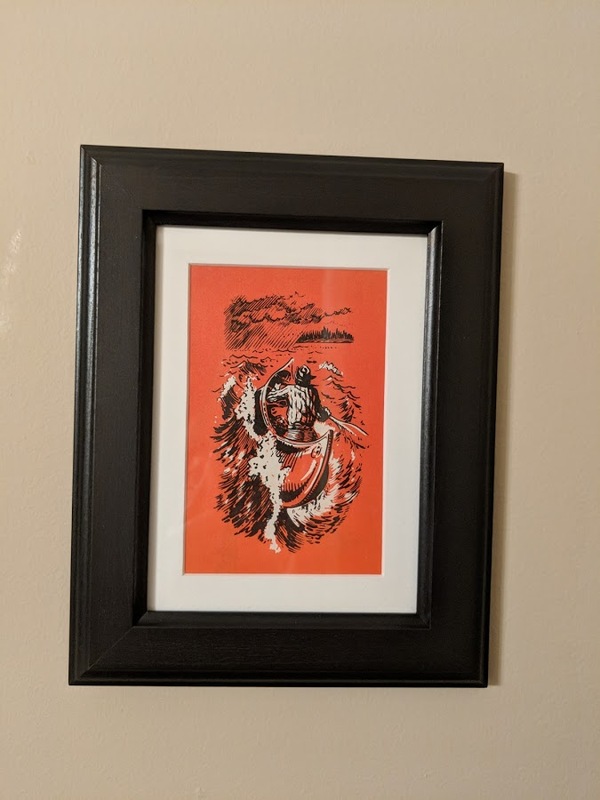 Super easy, and I now have art for my bathroom that is interesting to look at and perhaps a bit of a curiosity.